Last Friday, the 25th of May was a pretty special day. 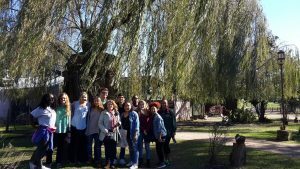 Not only was it the national day of Argentina commemorating their independence but because a lucky group from Elebaires left the city to spend a full day in the countryside. 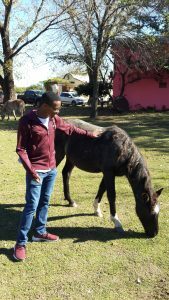 After only an hour journey from the city we arrived at Don Silvano’s horse ranch where we immediately felt the change in environment; the fresh air, the peaceful quiet and the picturesque sight of horses roaming the fields. To perfectly top this first impression was the tasty empanada and a glass of Malbec handed to us upon arrival. 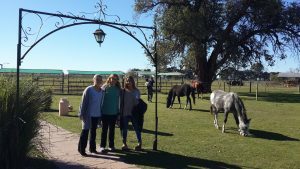 Cheers to the Argentinean estancia experience! From there it was straight onto the horse-riding where we could observe the full extent of the farm from upon our ponies: the fields of horses and other livestock that surrounded the kept lawn, the large rustic dining hall, the petting area filled with foals, and a beautiful white guest house where visitors could stay the night. One could only imagine the star at nights this far from the city. Plotted along the grounds were old faming tools, wheelbarrows and windmills which made it irresistible to take hundreds of photos. 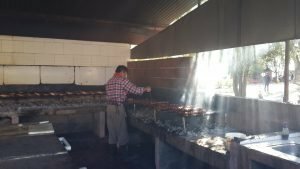 All the while we strolled the grounds our senses were being deliciously aroused by the smell of the looming asado. 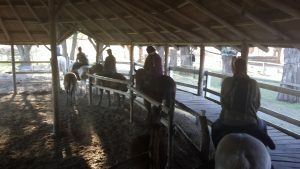 At last a gaucho rang the dining hall bell and around 400 people filled the large barn ready to feast. 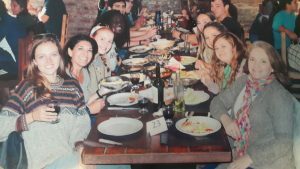 When seated we were immediately brought bottles of wine so we could toast to the day before enjoying authentic and endless Argentine asado and salads. Before eating we all rose to our feet as a guitarist lead the predominantly Argentinean group in the national anthem – it was a powerful moment charged with emotion. 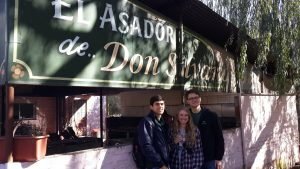 Then commenced the feast and a fantastic show of typical Argentinean folklore gaucho music and tango dancing which we all enjoyed as we devoured endless servings of carne. After lunch it was time for the gauchos to wow the crowd with their horseman skills. They revealed some traditional games and races they would doto compete for a woman’s affections. 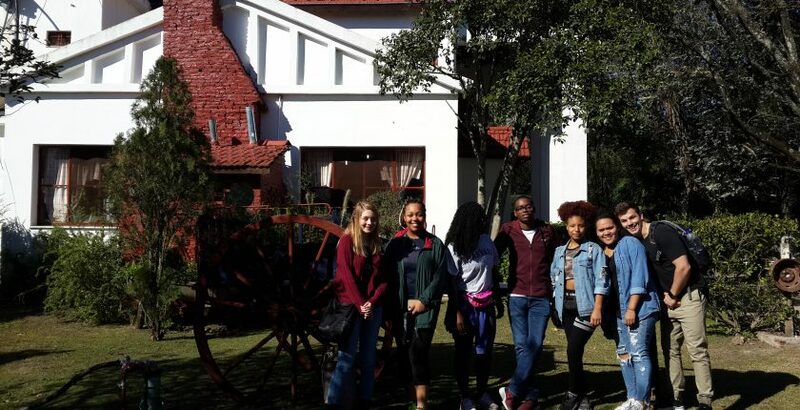 After a full día de estancia we returned to the city ready for a siesta. Thank you to the team at Don Silvano for an excellent day appropriate for the country’s national holiday.